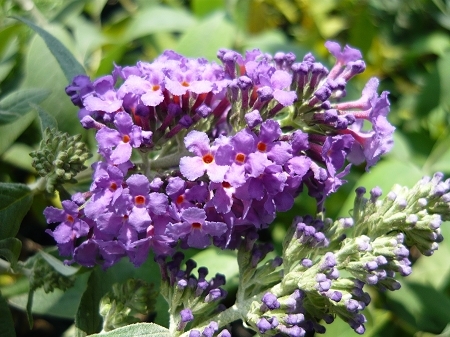 Griffin Blue Butterfly Bush (Buddleia davidii 'Griffin blue')- Rich dark blue blooms with tangerine colored eyes. Large blooms, prolific. Developed by UGA in Griffin. This compact variety grows 5' - 6' tall and wide. Perennial zones 5-9. Live plant in 3 inch container.